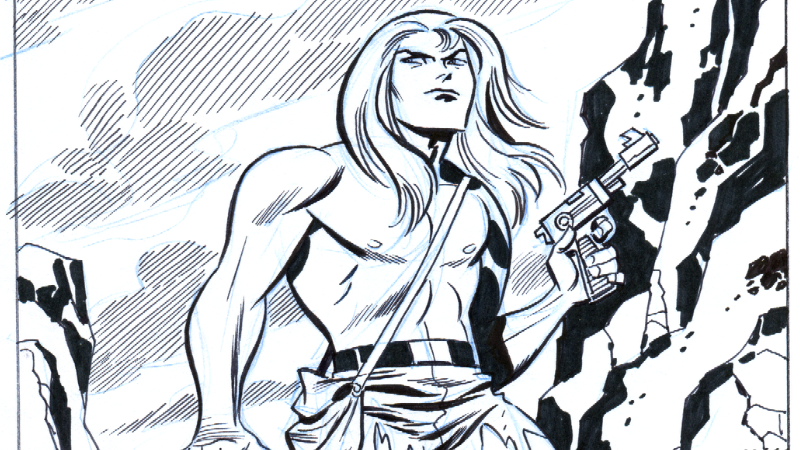 Star of his self-titled series between 1972 and 1978, Kamandi was a post-apocalyptic survivor of an Earth — referred to as "Earth AD" — ravaged by an event that turned what remained of the human race into a pre-technology civilisation, while intelligent animals became the dominant species. Kirby wrote and drew the vast majority of the series' first 40 issues before he left DC. Now, though, a veritable who's who of the comics industry is teaming up for a new 12-part miniseries featuring the character, dubbed "The Kamandi Challenge": Twelve writer-artist teams, randomly assigned to each other, were tasked with writing one issue each of the series, with the stipulation that they each take place in a different section of Kirby's Earth AD, also randomly assigned to them. It's... definitely a bizarre way to structure a comic series, especially with each team having no idea what's come before them. But it's a pretty unique way to celebrate Kirby's legacy at DC. The Kamandi Challenge is set to begin in January, with more details on the series being revealed later this week at New York Comic-Con. They should celebrate by giving all that original artwork of his they stole to his surviving family. It was more Marvel that screwed over Jack Kirby. Kirby may well have had a beef with DC but he seems to have been on considerably better terms with them. At the very least, the heirs of Kirby seems to have exclusively directed their legal fury at Marvel over the decades. Profiting over Kirby's work is always going to be uncomfortable, but DC have much more of a right to celebrate him than Marvel does. (Even though Kirby basically built Marvel). No, DC doesn't get a pass because Marvel is worse.